Paradise awaits at our Marina Cove Apartments. Just steps from the water, this stunning property has fully furnished studio, junior 1 bedroom, and 1 bedroom units available for rent today. 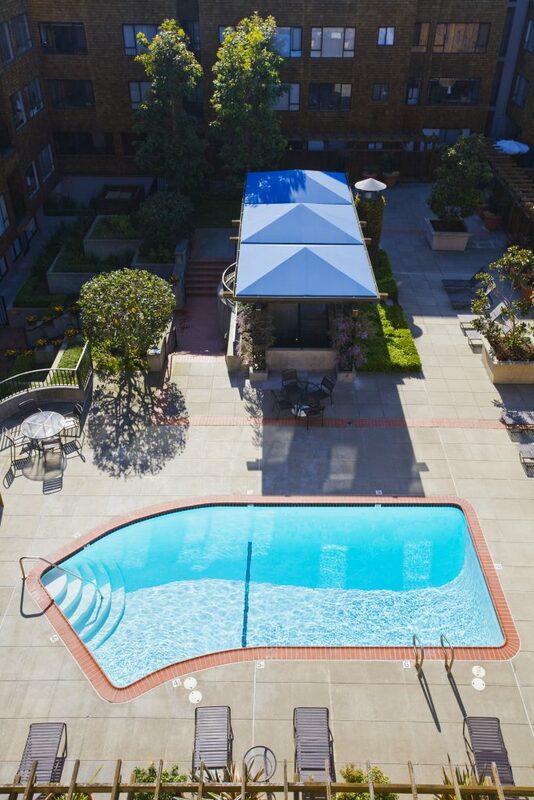 Contact Trinity at (844) 859-6170 or visit our leasing office at 1550 Bay Street to inquire. 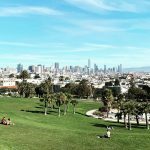 Located in one of San Francisco’s most beautiful districts, life here will give you access to the best San Francisco has to offer. 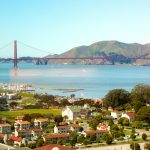 With views of the Golden Gate Bridge, Alcatraz, and the Marin Headlands in the distance , you could be living in one of the most prominent locations in the world. 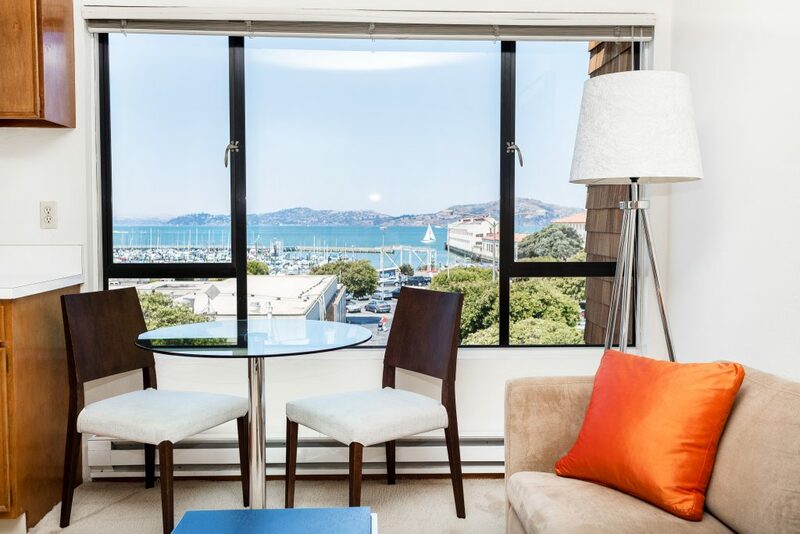 Walk outside your front door and be greeted by The Palace of Fine Arts, Fort Mason, Crissy Field, and much more. Tourists from all over travel to visit this astonishing location but you can call it your home today for a reasonable price. If you are unfamiliar with the Marina District, it is highly recommended you take a trip to see this gorgeous area for yourself. Away from the noise and bustle of downtown, the Marina is popular with families and people who prefer outdoor activities. 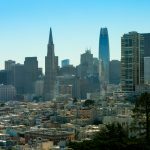 However, Fillmore and Chestnut Street are just a few blocks away if you are the type to show off your moves at one of the many dance clubs. Due to the astonishing views and coastal activity, the Marina District is most active during the daytime. 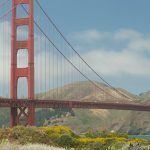 The wide bike paths and sea breeze make for a pleasant afternoon as you look out upon the Golden Gate Bridge. Fort Mason is also just next door to our Marina Cove Property and many of the units feature views across the historic site. 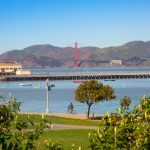 There are multiple local parks, such as the Marina Green, a weekly farmer’s market, and plenty of delicious picnics catered by one of the many local eateries. If you’d prefer to cook for yourself, our fully furnished apartments have a state-of-the-art kitchen with every modern convenience at your disposal. One of the primary advantages of Trinity is the beautifully modeled and maintained apartments. They are 100% completely furnished, eliminating the need to transport furniture and heavy luggage long distances. 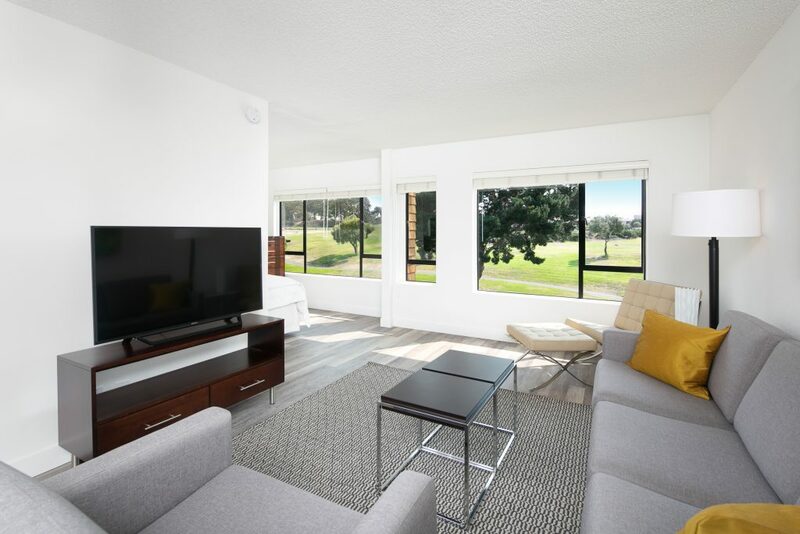 Our apartments come ready to live in and boast cutting-edge design. You will be able to impress your friends and family with a party at your place within the same day you move in; it is really that easy! Another distinct perk included with living at Marina Cove is the spacious and peaceful courtyard that sits in the center of the property. This enclosed area is fitted with a heated pool, gazebo, and patios lined with pleasant foliage. Just down the steps from our courtyard is where you will find our leasing office with the fantastic Bianca, Kevonna, and Mabel working hard for our treasured Trinity residents. This floor also features our fitness center, laundry facilities, and gated parking garage. Our pool is always warm and ready for you to take a dip! 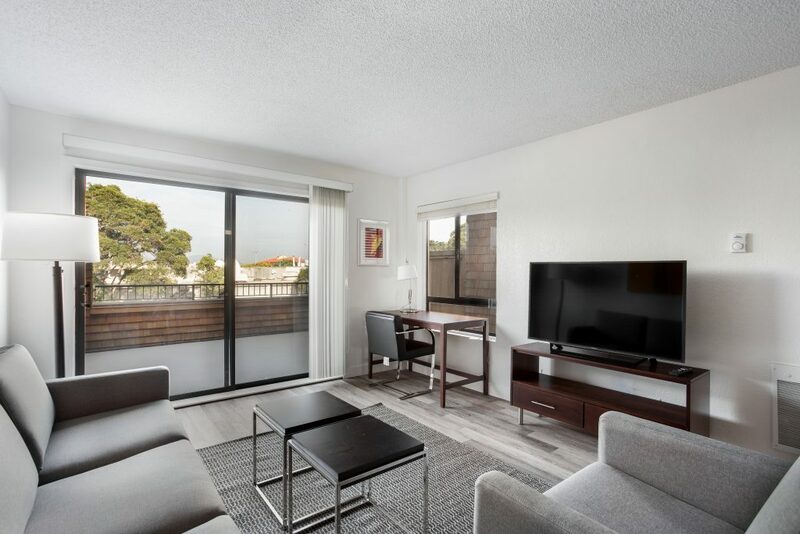 Currently, this Marina Cove property has availability in multiple units that include differing floor plans and window views. 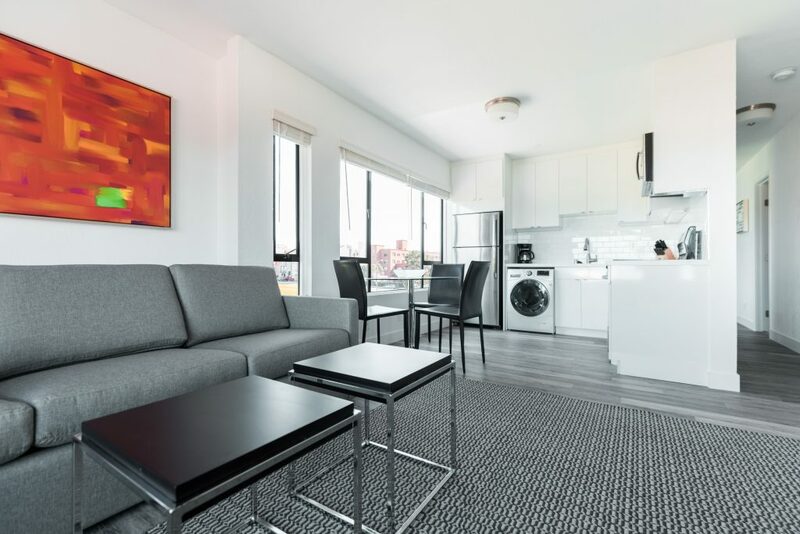 Every unit within this property is fully furnished, and select apartments have personal washing machines and dryers. Our first floor laundry room and housekeeping services are accessible to all residents. Worried about being able to find a quality grocery store in the area? Safeway is literally right across the street so don’t worry about even changing out of your slippers! Contact Trinity at (844) 859-6170 or visit our leasing office at 1550 Bay Street to set up a viewing of this magnificent property. 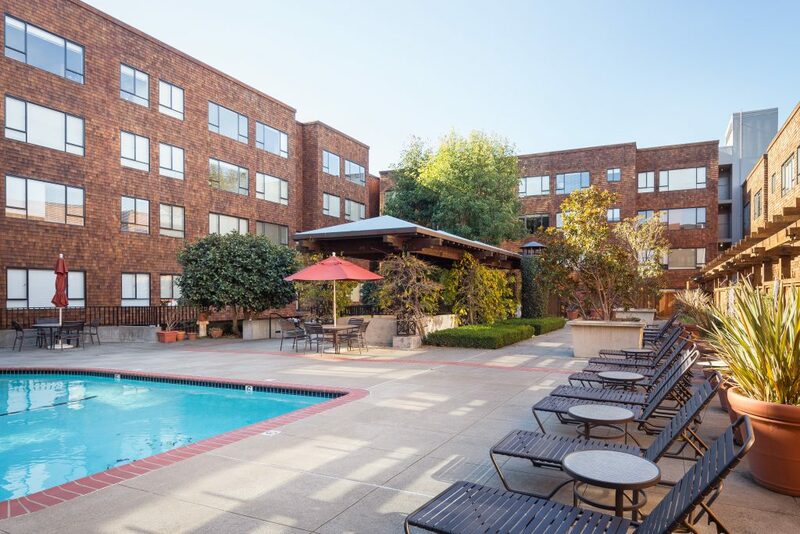 Visit our apartments page to view additional listings across the city.